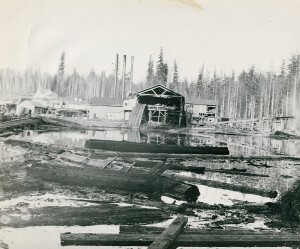 The first image is of the exterior of the Alder, Wash., mill around 1905. 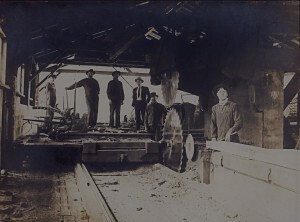 The next shot is of the interior of the mill. 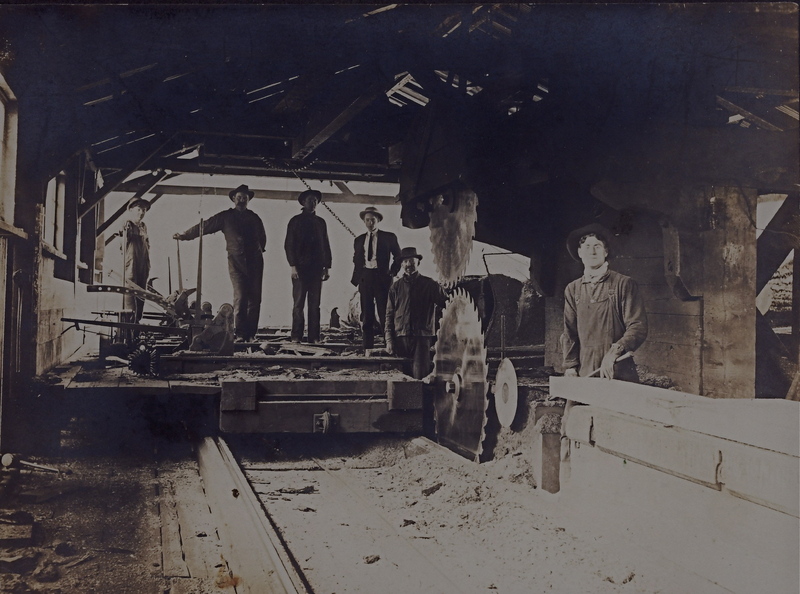 Note the size of the saw blade — set up for extremely large logs. Photos Courtesy Pat Van Eaton. My granfather (Ernest Boettcher) worked here unloading log cars.They where pushed down the track on the left side of the log pond.You’ll notice the tract are tipped toward the pond. The log car had a row of wooden stakes to hold the logs on the car. He would chop the stakes away until the logs broke lose & he would duct down into a pit between ramp logs as the logs rolled over the top of him.